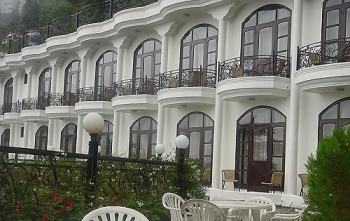 Mussoorie Gateway is a boutique resort, catering to the needs of travellers visiting Mussoorie. Equipped with state-of-the-art amenities, the resort offers a comfortable stay to its guests with access to contemporary amenities. This resort is recently renovated with all rooms facing the valley and with wooden floorings, good room size and all modern amenities. One can easily walk to the Mall from the hotel as it is only 300m way but still affords quietness of an ideal holiday hill station. The hotel has its own parking and a restaurant with room service. Mussoorie Gateway Resort is located on Library Road in Mussoorie (near ITBP Gate), Uttarakhand (just 400m from Mall Road). The resort is situated at an unbelievable natural junction near the mall road & is a get away from heat and dust of the plains. The Gateway resort offers Exclusive Premium Club rooms. The property is newly constructed. All rooms are elegantly furnished and specially designed for your maximum comfort, convenience with independent balconies and infinity view of Valley and the green hills. Complimentary cosmetics and utilities, All rooms have modern private bath showers, Round the clock running Hot and Cold water, Telephones in Rooms, Cable Television, Open Wardrobes, Luggage Racks, Private Balconies / sit out areas facing valley. Mussoorie Gateway Resort has a fine restaurant that serves delectable cuisines to guests in a perfect setting. The experienced chefs of the resort prepare a wide variety of dishes, including some special local dishes. - EP - European Plan - Room only basis. - CP - Continental Plan - Room with breakfast. - MAP - Modified American Plan - Room with breakfast and dinner. - Peak season rates are applicable during national holidays and long weekends, Christmas and New Year Week. - Extra Person ( with extra bed ) 40 % of the package cost. - Children from 5 to 12 years ( with extra bed ) 20 % of the package cost. - Check Out time 10.00 am and Check In time 12.00 pm. - However early check in and late check out can be provided subject to availability. 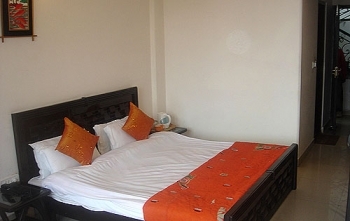 - Room Tea / Coffee makers , Complimentary pick up and drop facilities to the mall road. The nearest airport from The Gateway Resort in Mussoorie is Jolly Grant Airport, about 65 km away, while Dehradun Railway Station is the nearest railhead, approximately 35 km away.